As there are various size units available we are sure you will be able to find one that fits your budget and requirements. Q. What can I store? You can store nearly anything, any size, from boxes to bookshelves, Christmas decorations to cars, couches to computers, a few items or the contents from a whole house – as long as it’s not flammable, hazardous, perishable or illegal. Q. Are there any items that I can’t store with you? You can’t store living things, perishable goods or anything that could be flammable. Lawnmowers and other gas engines should be drained before you bring them in. Q. How often can I get access to my things? 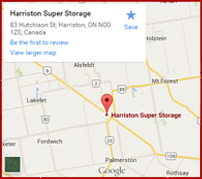 Customer’s have 24/7 access to their storage units. We offer a number of payment options including cash, cheque, credit card. Please call or ask at our office for more information. Q. What is the minimun rental period? One month is the minimum rental period for all our units.